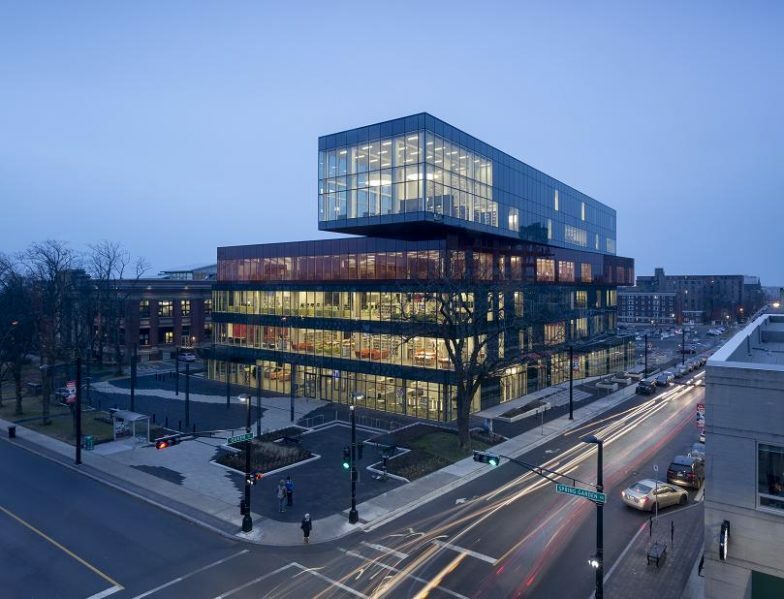 The Halifax Central Library, Winner of a 2016 Governor General’s Medal in Architecture. The library is composed of stacked boxes that recall a pile of books. The RAIC and Canada Council for the Arts (CCA) invite architects to participate in the competition for the 2018 Governor General’s Medals in Architecture. The objective of the Governor General’s Medals in Architecture is to recognize and celebrate outstanding design in recently completed built projects by Canadian architects. The 2018 competition continues a tradition initiated by the Massey Medals in 1950, providing an important source of understanding of the nature of Canadian architecture and the regional, cultural and historic forces expressed in the built environment. Projects built in and outside of Canada, completed between January 1, 2010 and September 1, 2017 and for which licensed/registered architects or Team of Architects who are Canadian citizens or permanent residents of Canada and are licensed/registered with a Canadian Provincial or Territorial Jurisdiction and were the lead design architects, are eligible to be submitted. Submissions must be received before 4 p.m. Friday, December 1, 2017. For more information, please click here.